Finding the right managed services partner is an essential first step to your organisation's cloud journey. Moving to and integrating a cloud strategy is fast becoming the first choice for positive digital disruption. Thousands of British organisations of all shapes and sizes have dared to reimagine their business and are realising the benefits of the cloud. But there are different ways to use the cloud, depending on an organisation’s current situation and future plans. Highways England, the Government company charged with operating, maintaining and improving England’s motorways and major A roads, is using the private cloud to improve journeys for millions of road users. Performing Rights Society (PRS) is using a mix of both private and public – called hybrid. The private cloud is used for its heritage and traditional technology estate whereas the public cloud – in this instance Microsoft Azure – is used for all new applications and will support PRS’s IT strategy to ensure it is agile and flexible for future changes. SMEs are benefiting too, with Aspire Furniture, a fast-growing online mail order furniture business, using a cloud-based software-as-a-service (SaaS) ERP solution to automate and manage the full logistical process from sales orders to purchase orders. Like Highways England, PRS and Aspire Furniture, most now understand that the cloud allows them to focus on driving their core business, as well as minimise cost and leverage economies of scale, improve end-user experience, and reduce operational risk. This has led to the cloud reaching mass adoption and it is now no longer a matter of why or if, but when, the rest will follow suit. Organisations can no longer keep up with outdated infrastructure and they are finding answers in the cloud. According to our 2017/2018 Advanced Trends Report, over two-thirds (67%) of companies in the UK have invested in cloud-based systems. Of the respondents that currently do not have a cloud solution, a third are looking or planning to adopt cloud technology. 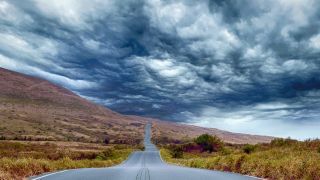 The journey to the cloud, however, isn’t necessarily a straightforward one, which is why some organisations are still holding back. Just like any purchase, a move to the cloud should be considered with the same level of due diligence as any other significant investment. How will a move to the cloud impact the organisation’s team and customers, for example? Is the cloud provider going to be a long-term value adding partner and can it demonstrate that it’s in for the long haul? What will be the implications for the company’s data strategy? All of these questions and more must be answered. Interestingly, a common concern among later adopters is understanding what the cloud actually is (and isn’t). Some providers promote their products as cloud-based when they are actually not true cloud solutions. And there’s a danger of creating confusion among businesses who rely on ‘expertise’ from cloud providers to guide and advise them. Another challenge is deciding which type of cloud to use. How does a business know whether a public or private cloud is right for them? What’s the difference? The public cloud describes cloud computing in the mainstream sense, where resources are dynamically provisioned on a self-service basis over the internet from off-site third-party providers such as Microsoft and Amazon Web Services (AWS). These are subscription based online services with limited configuration and limited application interoperability. In the case of PRS, its public cloud is managed by Advanced, which is one of Microsoft’s accredited Direct Cloud Solution Providers (CSP). The private cloud has been developed based on the cloud principles of virtualisation and automation but kept in-house to capitalise on data security, corporate governance and reliability concerns. These can either be hosted by the customer, the cloud provider or another managed services provider. Unlike the public cloud, private clouds offer dedicated services that can be uniquely configured and provide full application interoperability. As with all technology solutions, one size doesn’t fit all, which is why organisations like PRS are increasingly adopting hybrid cloud – a combination of the two, created to fit the specific needs of an organisation. It offers organisations more flexibility to move workloads between the public and private cloud as and when they need to. This is especially effective with the support of a managed services provider that can act as a single point of contact for all things cloud. It enables them to enjoy the best aspects of both public and private cloud environments, ensuring flexibility and innovation, while also providing strict data security and managing legacy systems that handle business-critical and high volume operations, such as with major government departments. When considering a hybrid cloud approach though, businesses must consider how they will manage the different cloud services and make sure they all integrate effectively. Otherwise, they may not be taking full advantage of the benefits. Finding the right partner in the journey to the cloud is key. Our cloud survey shows that, when asked what businesses look for in a provider, organisations want financial stability (69%), data held in a UK location (65%) and local support (58%) – this is over and above the typical benefits including scalability (46%) and the breadth of application offerings (38%). The call for financially stable and local providers will become even more pertinent as Britain leaves the European Union. Organisations will trust the providers that offer certainty in an uncertain market and those with a vested interest in the UK and the cloud. And that’s why we have recently seen some of the major cloud players take up residence in the UK, with the likes of Google, Microsoft and IBM all opening infrastructure regions in London. Businesses are far more likely to trust those showing the ability to deliver continuous business improvement and take accountability for ensuring the transition to the cloud works securely, in accordance with data protection regulations and without interruption. Increasingly, finding partners with the right level of accreditation awarded by the public cloud providers is vital. This demonstrates they have the quantity of certified people within their organisation who can deliver with the right skills, experience and knowledge. Every business operates differently and has different needs, which is why businesses should also favour software developers with track records in both managing various cloud environments and delivering sector specific cloud-based solutions and services. The bottom line is that organisations can embrace any type of cloud with confidence if they work with the right managed services partner. They should choose one that will work in partnership with them, advise them, and offer them choices how they move to the cloud – and how it can best enable them to grow, innovate and prosper. Ultimately, find a partner that will help companies journey to the cloud in the right time and in the right way for them.